January 21, 2013 by Theresa B. Clarke 0 comments on "Homemade Laundry Detergent: A DIY, Unique, Inexpensive, Homemade, and Fun Valentine’s Day Gift That Kids Can Make for Teachers"
Are you looking for unique DIY Valentine’s Day gifts for teachers? How about a present that doesn’t break the piggy bank? 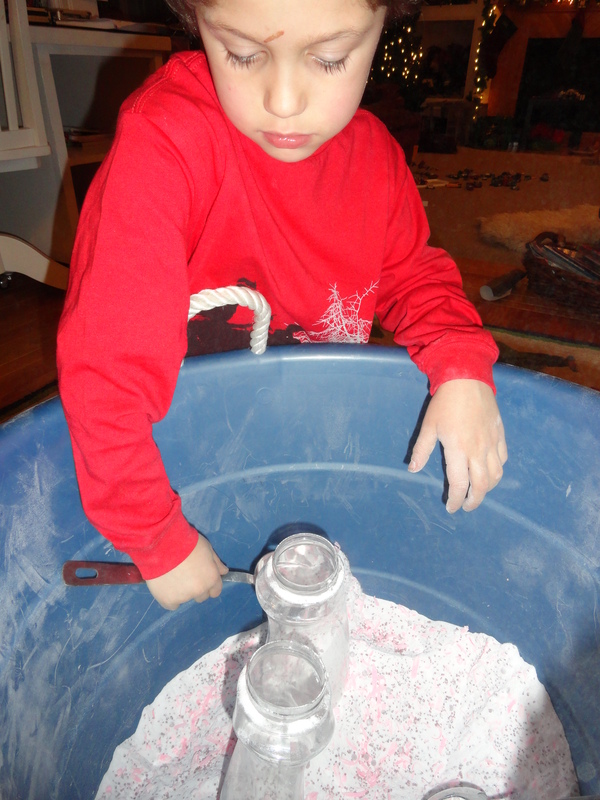 Do you want a recipe for homemade laundry detergent that is fun for your kid(s) to make? If you said YES to any of the above, I think you have found the right place. Before I explain this DIY Valentine gift idea, I warn you that it is not romantic in any way, shape, or form. If you are seeking a romantic gift for that special person in your life, stop reading here immediately and look elsewhere such as a flower shop, a jewelry store, or chocolatier. And, as much as I love the traditional romantic Valentine’s Day gifts like chocolate, candy, flowers, stuffed animals, jewelry, and cards, they are…well…traditional and romantic. And that’s not necessarily the message I want my son to convey when he gives his teacher a V-day gift. So if you aren’t afraid to help your child be different, then break out of the mold and give this present a try. I think your teacher will really like it and your child will enjoy making it. So what is this awesome teacher gift idea? It is Homemade Laundry Detergent! Everyone needs to wash their clothes, right? 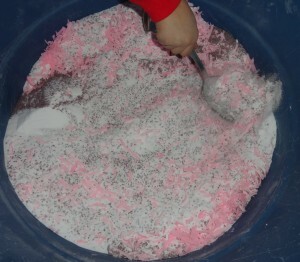 I believe that a gift of semi-homemade detergent is cute, practical, and has a lot of potential to make someone happy. The purpose of a gift, afterall, is to thoughtfully show someone that you care about them. I discovered this idea while searching on Pinterest for ways to clean my washing machine. Through this exploration I came across an amazing HowDoesShe.com post about about how to make cheaper and better laundry detergent by guest author Jen, from Blissful 55. I’m ever thankful to these individuals for sharing their creative ideas. 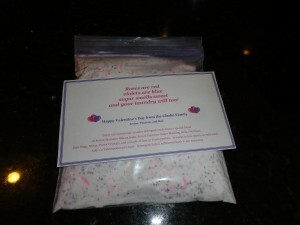 I was very excited about the idea of making my own detergent and thought it would make a really cool Valentine’s Day present because of the beautiful pink and purple colors. I tend to get a little bored with all of the red stuff we see around Valentine’s Day. This recipe for homemade (semi-homemade actually) laundry detergent makes a HUGE batch! There will be more than enough detergent to divide it up for multiple teachers (homeroom, P.E., art, music, computer, librarian, after school, coaches, school nurse, bus driver, etc.) with plenty of leftovers that you can use at home. Below are the ingredients, quantities needed, prices in my area as of January 2013, and suggestions for where to find the items. (4 lb) $2.24 Located near cake mixes and other baking products in grocery stores and mass merchandisers. 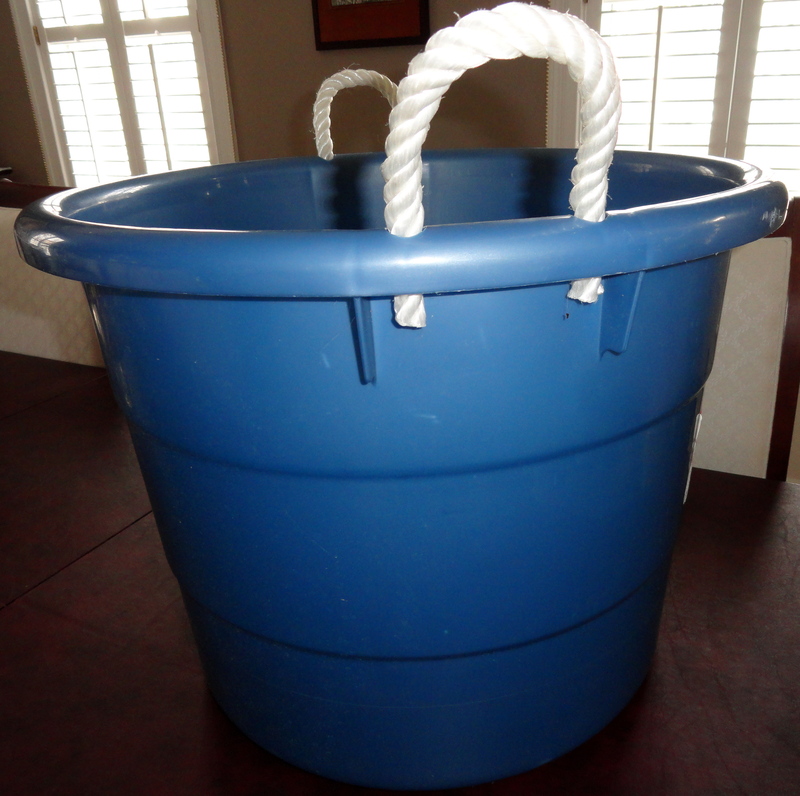 (3 lb, 7 oz) $4.79 Found by laundry detergents in grocery stores and mass merchandisers. (4 lb 12 oz) $3.80 Located near bleaches in grocery stores and mass merchandisers. My favorite brand is Twenty Mule Team. (3 lb) $6.99 Located near bleaches in grocery stores and mass merchandisers. Oxy Clean comes in a variety of sizes (3 lb., 5 lb., 7.22lb, etc.) so be sure to get 3 lbs only. each) Purex is found with fabric softeners in grocery stores and mass merchandisers. I suppose you could buy something other than the purple/lavender blossom variety, but I thought that this is the “most Valentine-ish” looking color. Purex also comes in blue/fresh water scent and a yellow/citrus scent. There are other similar fabric softeners and laundry boosters that might work just as well such as Downy Unstopables and Gain Fireworks Sweet Sizzle. per bar) Some grocery stores and mass merchandisers may carry this in their detergent aisle. I imagine that you won’t have a problem finding any of these ingredients, but if you do, I’ve provided affiliate links above where you can buy directly from Amazon. For me, everything was really easy to find except for the Zote Soap. 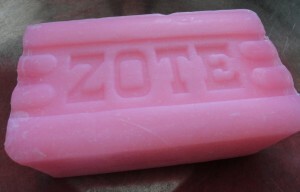 I looked in several grocery stores around my town (Kroger, Martins, Food Lion) and mass merchandisers (Wal-Mart, Target, Big K) and ultimately found the soap in a really small specialty market that sells Hispanic and Asian groceries. If you can’t find the Zote, I read that Zels Naptha would be a good substitute. To ensure that this project is indeed kid-friendly, I recruited my dear son to help me make the detergent. It passed the test. My little six year old really enjoyed working on every step of the project. After you obtain all of the ingredients (listed above), you will need a very large bucket. We emptied a big blue bin that normally holds some of my son’s toys. …and you also need a grater or two. Begin by grating the Zote Soap. It looks so good you’ll want to eat it…BUT DON’T!!! Child supervision is definitely necessary here. 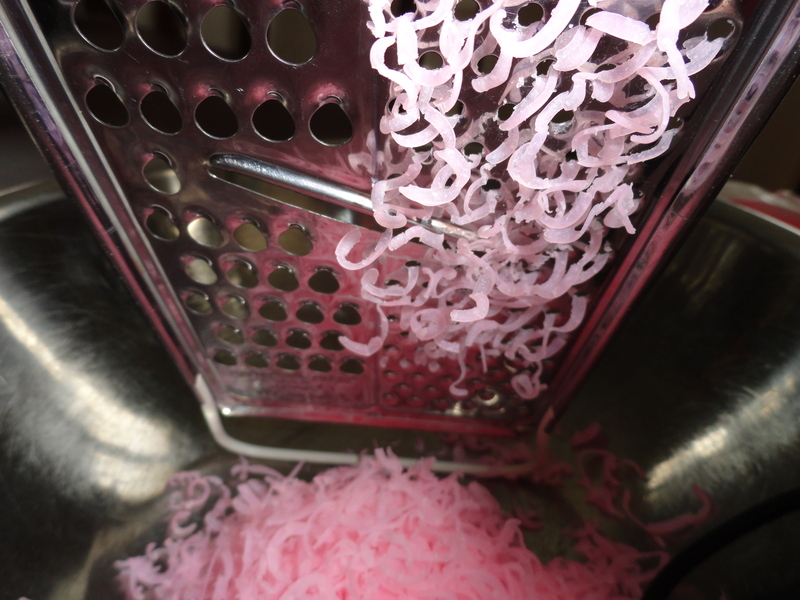 After your soap is grated, open up all of the remaining containers of ingredients and start pouring them into your large bucket. Ensure that your kids “pour low” so they don’t create a huge dust cloud in their face. 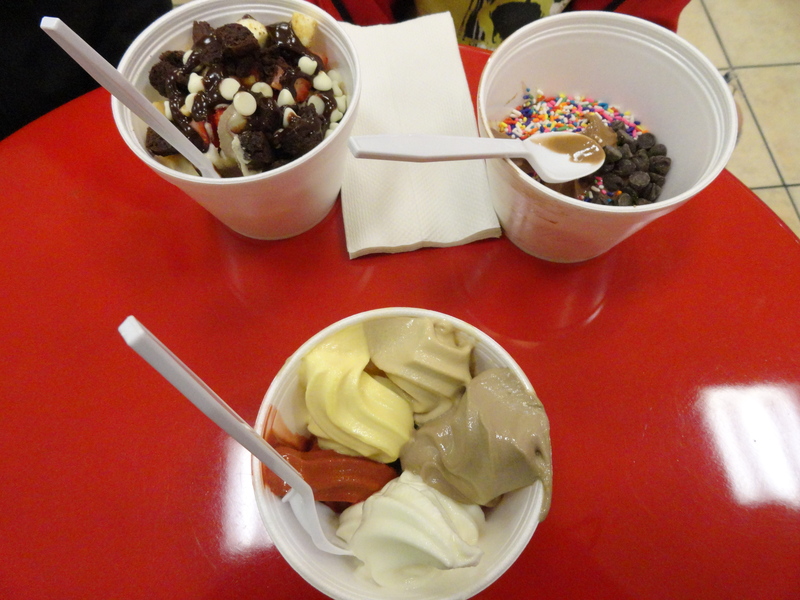 Mix everything with your large spoons. The mixing was my son’s favorite part and he equated the experience to playing in a sandbox that smells really good. We loved the color and smell with this base recipe, but decided to sweeten it up with 2 capfulls each of pink and purple Downy Unstopables that I had in my laundry cabinet. The granules also added a little extra texture to the mixture. Below is a photo of all of the ingredients ALMOST fully mixed together. Container: Scoop your detergent concoction into any kind of container that you imagine from Ziploc-style plastic bags to these swanky Montana Glass Canisters from The Container Store. Keeping with the inexpensive theme I have going, I went for simple glass jars from Target that were on sale for under $6.00. Your child could decorate the container with stickers, drawings, or other artwork to make it more personal and creative. 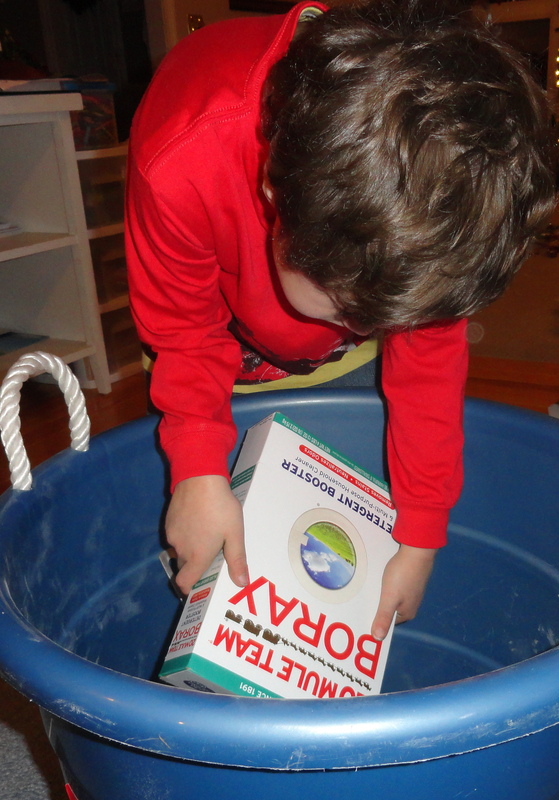 We also used the empty containers from the Oxyclean and Purex to store some of the detergent. 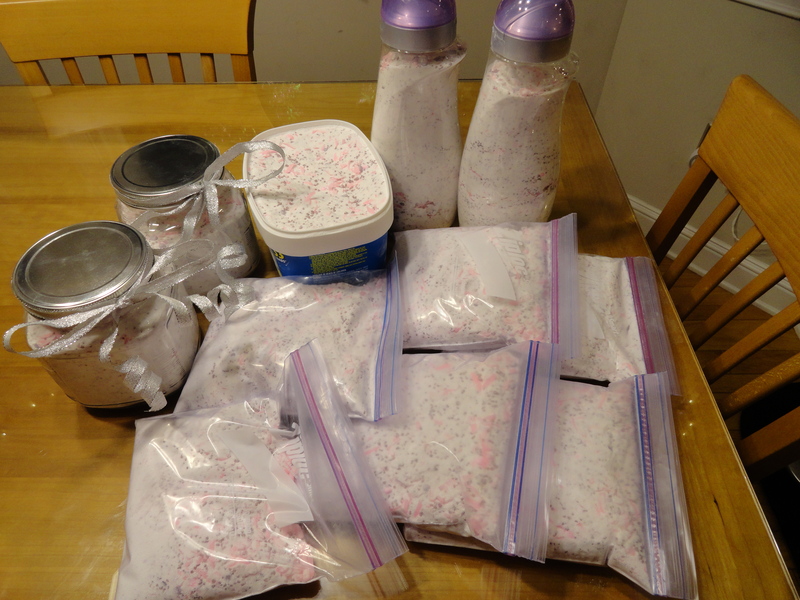 Once everything was finally packaged up, this is how much detergent was made. We filled six quart-sized Ziplock bags, 2 glass jars from Target, 1 3lb container that the OxyClean came in, and 2 of the containers from the Purex. All in all, it was a nice yield. 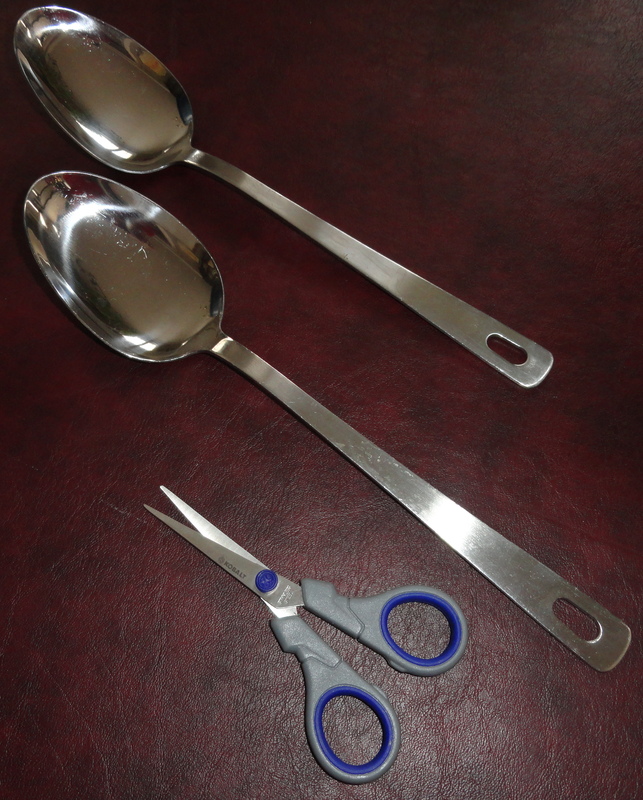 Measuring Spoon: From Wal-Mart, I bought some inexpensive measuring spoons and removed the one for the one Tablespoon measure. Put the 1 T. spoon inside of the container or tie/fasten it to the outside. You could also use a spoon that is the size of a typical coffee measurement spoon. Another idea is to use the cap from the fabric softeners as a spoon. Gift Tag: Now you don’t want your teacher thinking that this gift is some kind of candy. 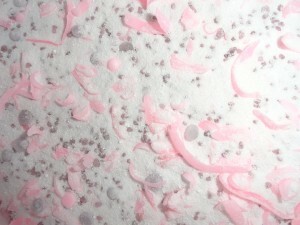 The detergent looks so pretty that it could possibly be perceived as an edible. 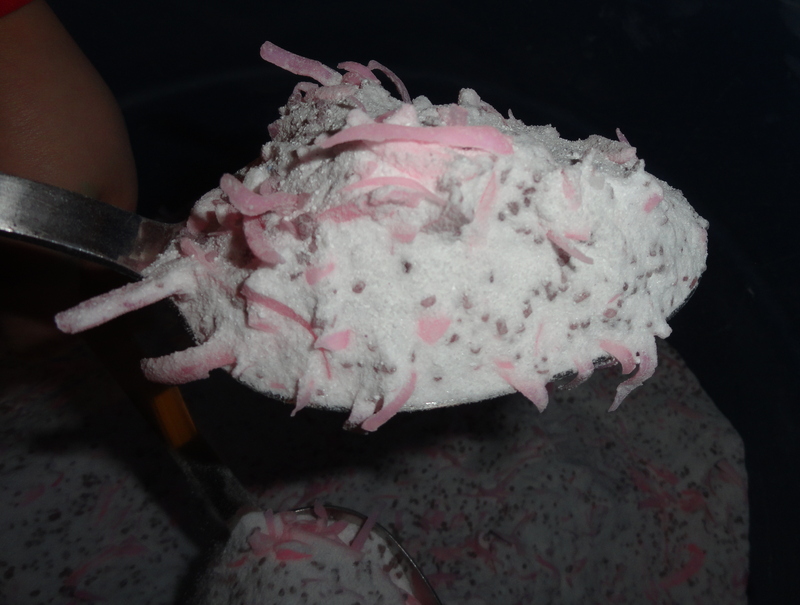 Below is what it looks like on a spoon. 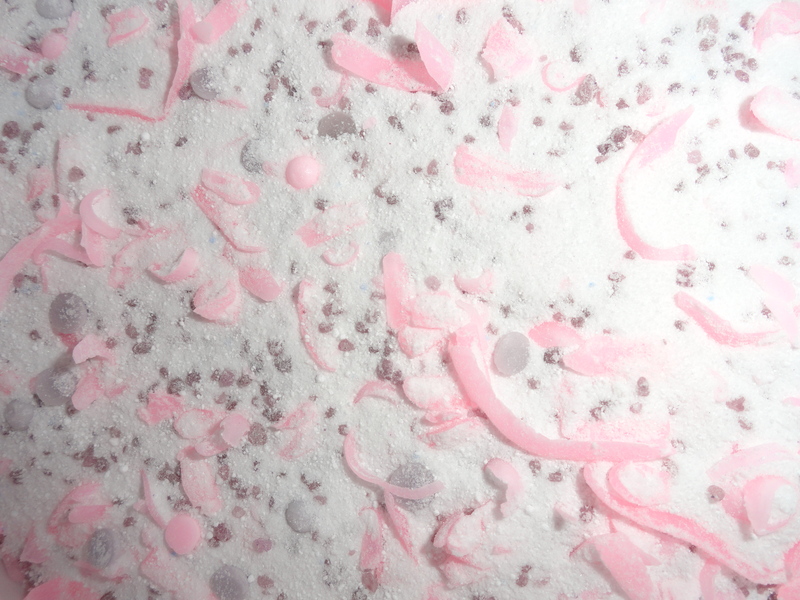 Kind of looks like a sugary candy doesn’t it? And your laundry will too. 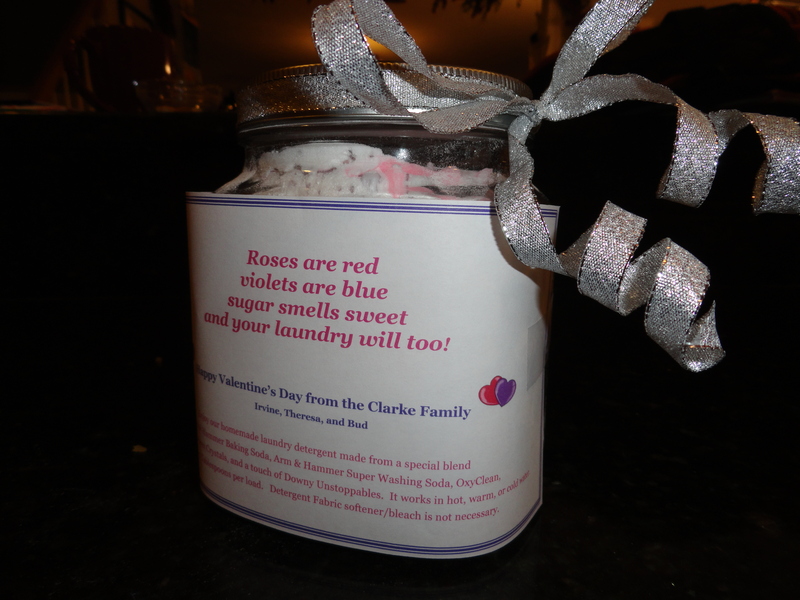 Happy Valentine’s Day from the Clarke Family! Enjoy our homemade laundry detergent (you could list the ingredients or provide a link to this website for the recipe – http://theresabclarke.com/valentines-day-teacher-gift). Add just 1-2 Tablespoons per load. Works in hot, warm, or cold water. Additional fabric softener/bleach is not necessary. Click here if you would like a copy of the Valentine’s Day Gift Tag Free Printable depicted in the image below. You could wrap the tag around a jar and secure it with a hot glue gun or you can attach it as a hanging tag. Have fun, be creative, and make the tag your own. 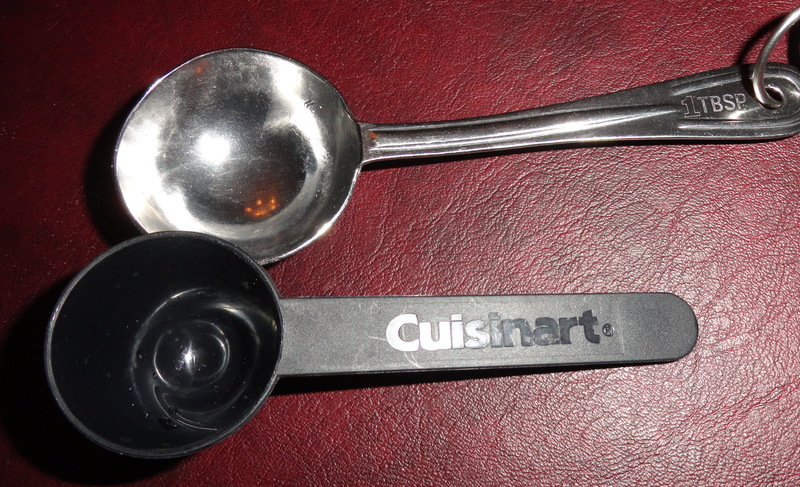 Hey, you might even find a cool way to attach the tag to your measuring spoon. Click the image above for a closer look. 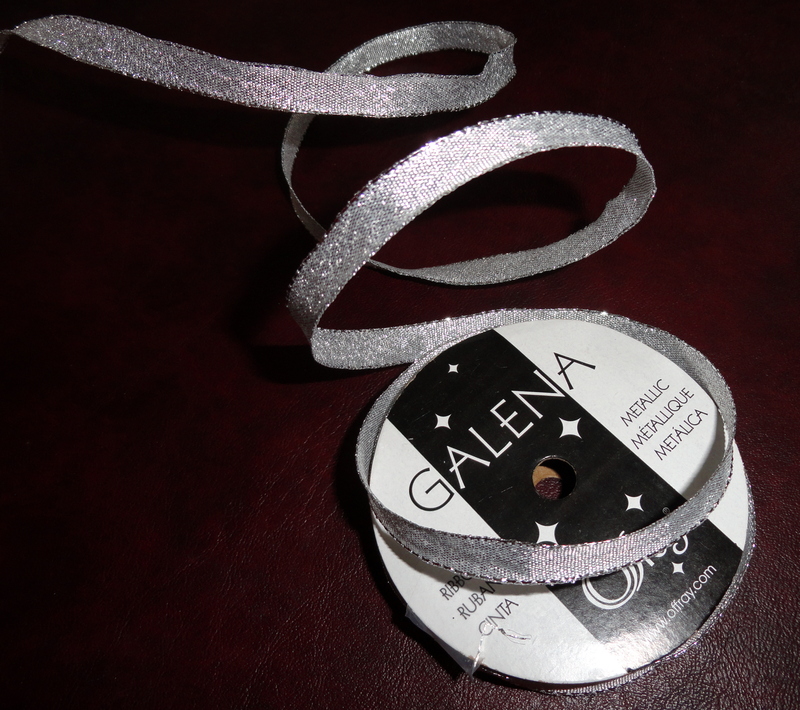 Ribbon: To give the package a special touch, we added some delicate, silvery-white ribbon (found at Michael’s in the highly discounted product bins after Christmas). …and in a bag. If you have any delivery concerns (a.k.a., clumsy child, over-packed backpack, rough bus ride, etc. 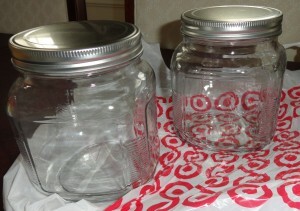 ), I recommend using the Ziplock bag instead of the glass jar for easy transport to school on Valentine’s Day. In the event you want to supplement this Valentine’s day gift with something more traditional, my recommendation is to include a small box of chocolates or a gift certificate to an ice cream or frozen yogurt shop. Still Not Sold on this Gift Idea? HUGE thanks again to HowDoesShe.com for providing the inspiration for this Valentine’s Day gift project. Check out some of their other amazing do-it-yourself projects at OurDIYDiaries.com. Also visit Jen’s Blissful 55 blog for more inspiration and DIY tips. Did You Try It? Did You Like It? I tried it and I liked it. I wanted to love it, but I just liked it. The next time I make this detergent, I’m going to add at least one or two full bottles of Downy Unstopables because the base recipe’s scent isn’t as strong as I prefer. I gave some of this detergent to two of my friends and they concurred with me about the scent. This detergent most definitely will clean, remove odors, and brighten, but the scent is a bit on the light end. Perhaps that is because there is so much baking soda in the mix (which absorbs odors) or I am used to much stronger scents in the commercial detergents. I think a bit more fabric softener granules will do the trick. I’m planning to give a few batches away as gifts this Valentine’s Day season. I’ll report back whether it was a flop or a hit. If you gave this to a teacher as a gift, what did she/she think? 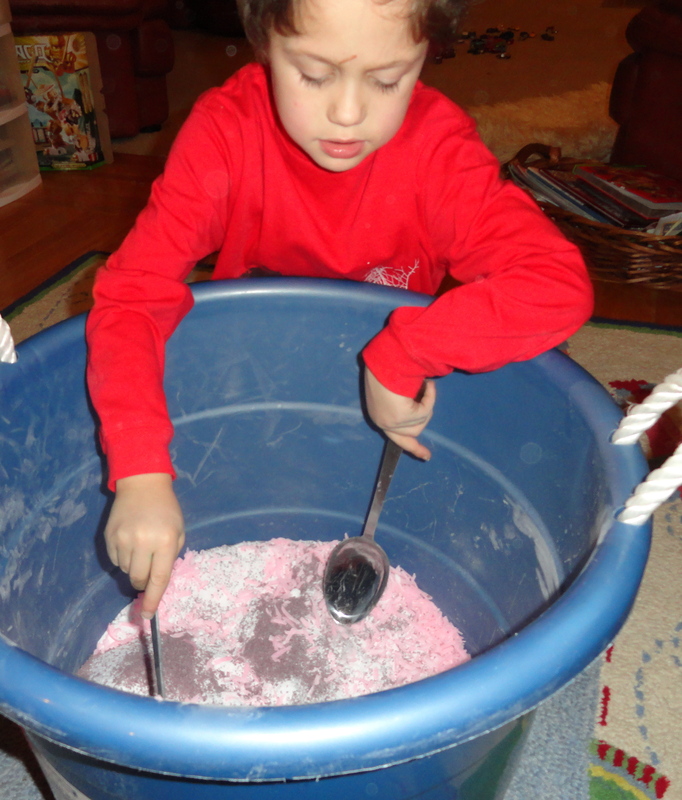 What adaptations did you make to the detergent recipe. 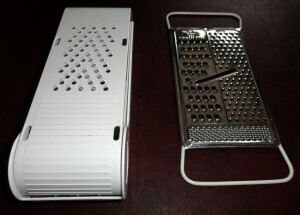 Do you have any good packaging ideas. Are there other holidays or opportunities where this might make a good gift. I’d love to hear about your experiences.